Zero Pwnage: SWTOR Patch 1.1 goes live! SWTOR Patch 1.1 goes live! Yesterday Patch 1.1 for Star Wars the Old Republic went live. With a huge list of bug fixes, accompanying it will be a new level 50 Flashpoint "Kaon Under Siege" and a new Operation "Rise of the Rakghouls." 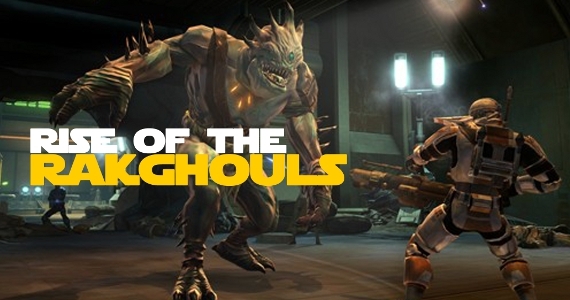 Any of you who played the Knights of the Old Republic games years ago will remember that the Rakghouls were causing major havoc in the galaxy and Bioware decided to add this as a nod to their previous games. You can read the official patch notes here and the official release statement after the break. Official 1.1 Patch Release statement from Bioware.